During a span of 50 years, Paul C. Petersen built a career, a development and construction business, an impressive array of quality Northern California communities and a nationally honored reputation as a successful builder and effective industry leader. He was a native San Franciscan and started his career back in 1935, in the traditional roles of apprentice, journeyman and superintendent in the San Francisco Bay Area. He was an accomplished leader in the industry who translated decades of experience, craftsmanship, organizational and technical expertise and sensitivity to the needs of local governments and homeowners --all into communities which have enriched the landscape and the lives of countless Californians. ​Whitecliff Homes, which Paul founded in 1953, had been the instrument in achieving his goal-- a balance of profitable operations, good housing and continuing employment for the areas in which he did business. Paul considered his proudest achievements to be the residences his Whitecliff Homes had built during the past 32 years, 12,665 homes representing a market value of $l billion plus over 3,000 apartment units. During its existence, Whitecliff Homes, under Paul's leadership and the support of his excellent staff, had built a remarkable record of productivity. Possibly the most unusual aspect of Whitecliff Homes' operations is its versatility. The entire spectrum of the Northern California demographic population had been served by Paul's organization. The masterpiece estate-type homes of Hillsborough, the sophisticated California- living homes of Walnut Creek and San Mateo; the modest level homes of Richmond, San Pablo, El Cerrito and Pittsburg --all bring to those areas, Whitecliffs standards of quality. Paul was the recipient of many industry honors, including the Award for Distinguished Service to the Home Building Industry in 1966 from the National Association of home Builders; the Outstanding Builder Award in 1976 by the Associated Building Industry of Northern California; and in October 1980 was presented an Award of Recognition of 25 years of service and outstanding contributions to the building industry by the California Building Industry Association, in addition to numerous other awards he had received. He had been recognized as a "Housing Giant" by the National Association of Home Builders since its inception. Paul had also served the industry in exemplary fashion. He was a Life Director of the National Association Builders, and Chairman of the Construction Industry Advancement Fund of Northern California since its inception. 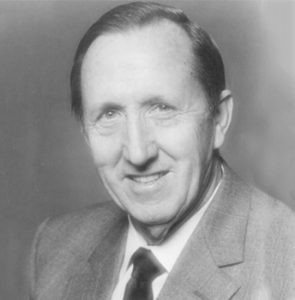 He was one of five Founding Fathers who established the Pacific Coast Builders Conference.During a span of 50 years, Paul C. Petersen built a career, a development and construction business, an impressive array of quality Northern California communities and a nationally honored reputation as a successful builder and effective industry leader.